"Some say biology is the science of the 21st century, but information science will provide the unity to all of the sciences," says Caltech president and Nobel Prize-winning biologist David Baltimore. "It will be like the physics of the 20th century in which Einstein went beyond the teachings of Newton—which were enough to put people on the moon—and allowed people's minds to reach into the atom or out into the cosmos. Information science, the understanding of what constitutes information, how it is transmitted, encoded, and retrieved, is in the throes of a revolution whose societal repercussions will be enormous. The new Albert Einstein has yet to emerge, but the time is ripe." With these words, the IST initiative was founded in 2004. 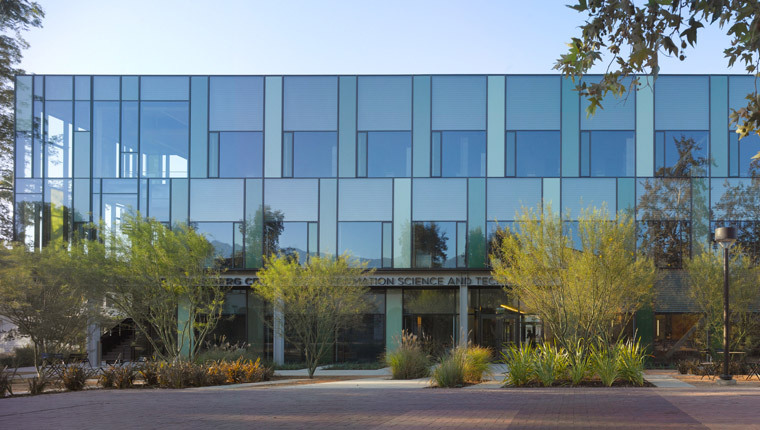 Since then it was pursued the goal of cutting across disciplines and altering Caltech’s intellectual and organizational landscape to embed information science and technology into the educational and research mission of every discipline on campus. Funding from the Moore Foundation was used to provide seed money to establish four new interdisciplinary research centers that formed the initial core of the intellectual efforts of IST. These initial centers focused on the interface between the information science and Biology, Physics, Math, and Economics. The four centers funded by the Moore grant were the Center for Biological Circuit Design (CBCD), which studied how living things store, process, and share information; the Social and Information Sciences Laboratory (SISL), which investigates how social systems, such as markets, political processes, and organizations, efficiently process immense amounts of information and how this understanding can help to improve society; the Center for the Physics of Information (CPI), which examines the physical qualities of information and will design the computers and materials for the next generation of information technology; and the Center for the Mathematics of Information (CMI), which seeks to formulate a common understanding and language of information that unifies researchers from different fields. All four of these centers were remarkably successful and have lasted (and evolved) over fifteen years, each raising endowed funds and growing into their own major institutes on campus. For example, CBCD spun off the Molecular Programming Project (MPP) and CPI grew into the Institute for Quantum Information and Matter (IQIM). Beyond the initial four centers, in the years that followed, IST has seeded centers in a wide variety of other areas since its inception, including the Lee Center for Advanced Networking, the Decision, Optimization, and Learning at California Institute of Technology (DOLCIT) initiative, the Center for Autonomous Systems and Technologies (CAST), the Rosen Bioengineering Center, and the center for Computational Mathematics + X (CMX). To find out more about ongoing centers under the IST umbrella, click here. To find out more about ongoing research under the IST umbrella, click here.